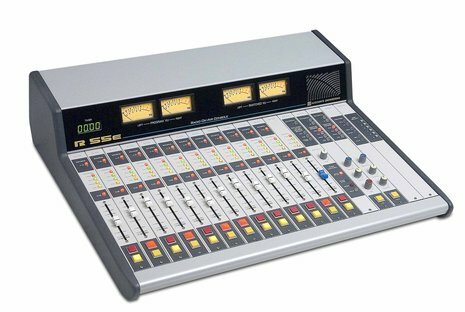 The R-55e radio console has the features engineers want : two stereo program busses and two mono busses—one pre- and one post-fader (perfect for backfeeds or on-the-fly mix-minus). Phone caller support utilizes Wheatstone’s exclusive Bus-Minus® circuitry, which generates mix-minus caller feeds with the simple push of the phone module’s bus assignment switch. 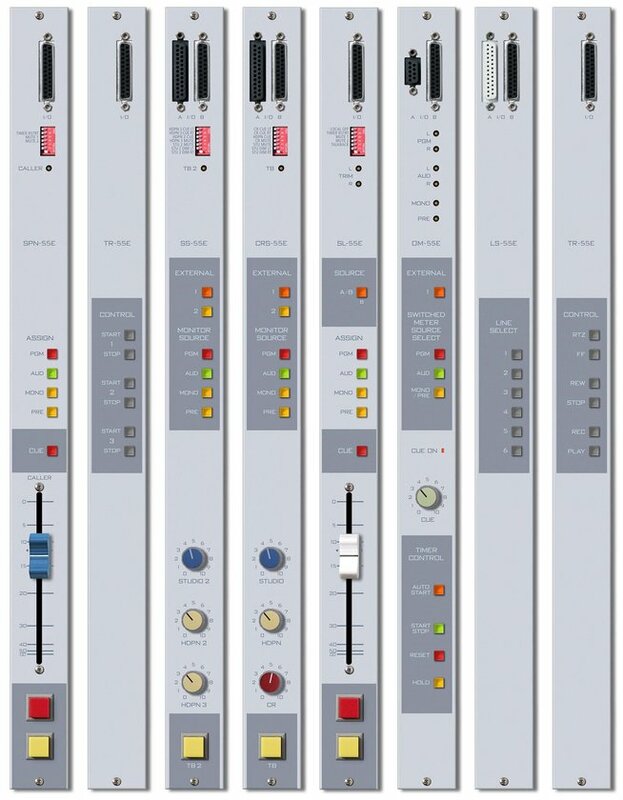 Both control room and studio monitoring with talkback are provided, including both pre- and post-studio and headphone level pot monitor feeds. You can even choose a second monitor module for studio two/headphone two output feeds, giving you plenty of monitoring flexibility. 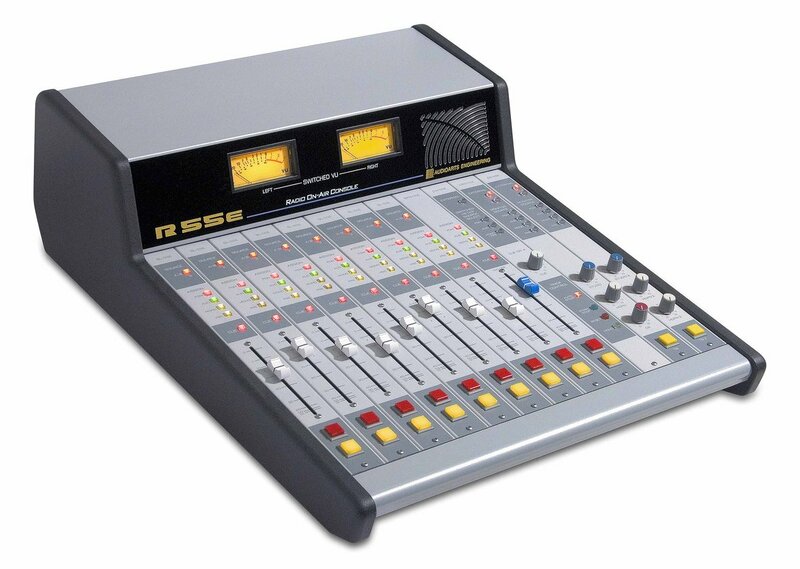 And while the frame is compact, it can accommodate up to 24 input and accessory modules in any combination. Because all switching is electronic (and all switches are LED illuminated) you can count on the ultimate in reliability. 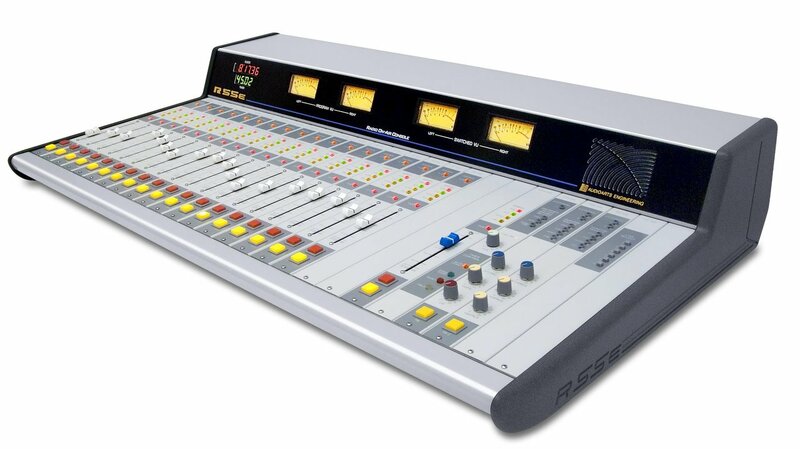 This is a truly versatile and compact Audioarts console !